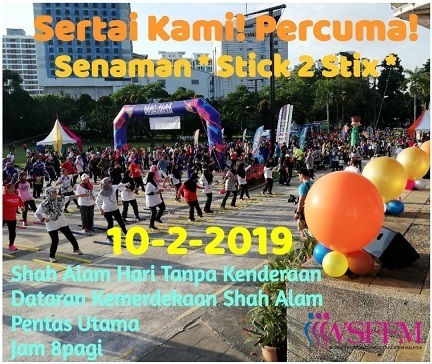 WSFFM is performing Stick2stix on centre stage on 10th February at Dataran Kemerdekaan, Shah Alam in conjunction with MBSA’s Car Free Sunday. Stick2stix will start at 8.00 am. Come join the fun exercise and visit WSFFM and PEKA’s booth. See you all there.